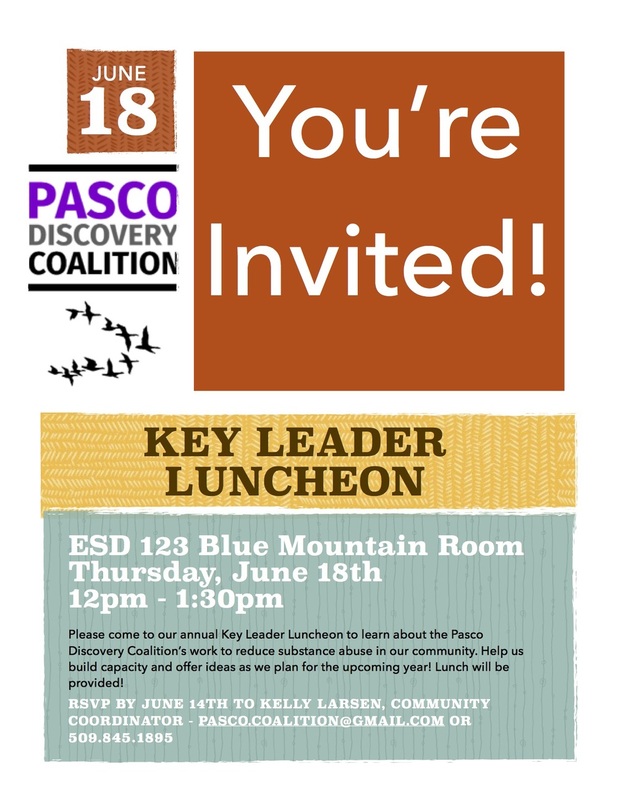 Please come to our annual Key Leader Luncheon to learn about the Pasco Discovery Coalition’s work to reduce substance abuse in our community. Help us build capacity and offer ideas as we plan for the upcoming year! Lunch will be provided. The flyer for the Key Leader Luncheon. Please feel free to download the PDF version.